LA Tenorio has been one of the biggest reasons for the Ginebra resurgence. 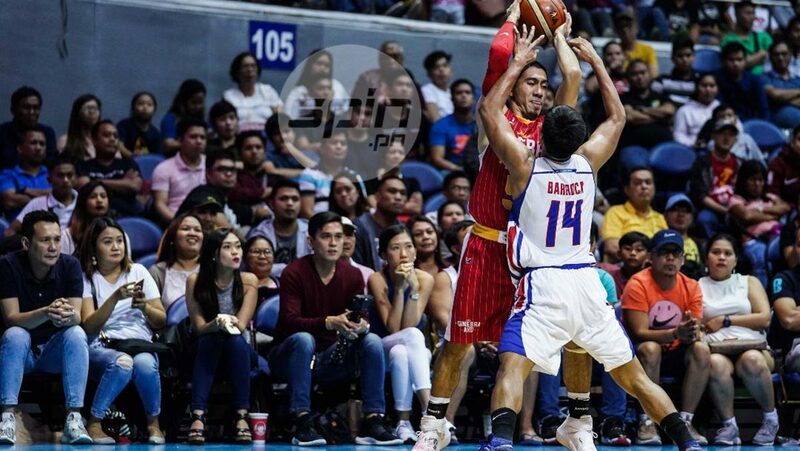 LA Tenorio’s all-around game is one of the biggest reasons why Ginebra is on a roll heading into the final stretch of the PBA Commissioner’s Cup elimination round. The veteran Ginebra court general averaged 14 points, 6.5 assists, 4.0 rebounds and 4.0 steals in leading the Kings to a pair of blowout wins over Columbian Dyip and the Alaska Aces, respectively last week. The impressive showing made Tenorio an easy choice for the Cignal-PBA Press Corps Player of the Week award for the period covering June 18 to 24. The 33-year-old former Gilas Pilipinas playmaker fired 16 points, issued 10 assists, grabbed three rebounds and added the same number of steals as Ginebra hammered Columbian, 133-104 last Wednesday. Four days later, Tenorio churned out 12 points, five rebounds, five steals and three assists as Ginebra humbled Alaska, 105-86. The 5-10 guard beat teammate Japeth Aguilar, San Miguel Beer’s June Mar Fajardo and Marcio Lassiter, Phoenix wingman Matthew Wright, Rain or Shine guard Maverick Ahanmisi and TNT’s Troy Rosario for the weekly citation. Ginebra, which has won its last four games overall, won’t be back in action till July 6 where it will face GlobalPort at the Cuneta Astrodome.